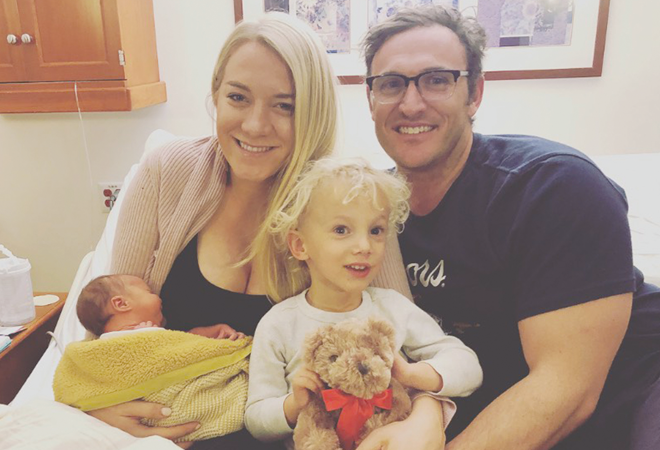 BIRTH ANNNOUCEMENT: Daisy Coburn Willette was welcomed into the world on January 28, 2019 by her brother Auggie and parents Gracie and Carey. Join the Crested Butte Land Trust for two events this weekend to learn more about the effort to save Long Lake. Come to the Divvy in Mountaineer Square on Friday, February 15 from 3:30 to 5:30 p.m. to learn more about Long Lake. In addition, join the Land Trust on skis or snowshoes for a winter site visit to Long Lake on Saturday, February 16. Meet at the Crested Butte Four-way at the Visitor’s Center at 10:30 a.m. and carpool to the trailhead. For more information, call 970-349-1206. Move the Butte 2019 is here, with its 10-year anniversary show that hits the stage next week. This year’s innovative show features a stunning variety of dance modalities such as ballet, tap, lyrical, contemporary, pop, hip hop, jazz and aerial dance. The show grows every year and consistently impresses with its professionally produced homegrown talent. See more than 80 locals shakin’ it on stage. Shows are February 20 and February 22-23; get tickets at dancecrestedbutte.org. This busy holiday weekend we begin by getting ready for the Oscars with the Crested Butte Film Festival! 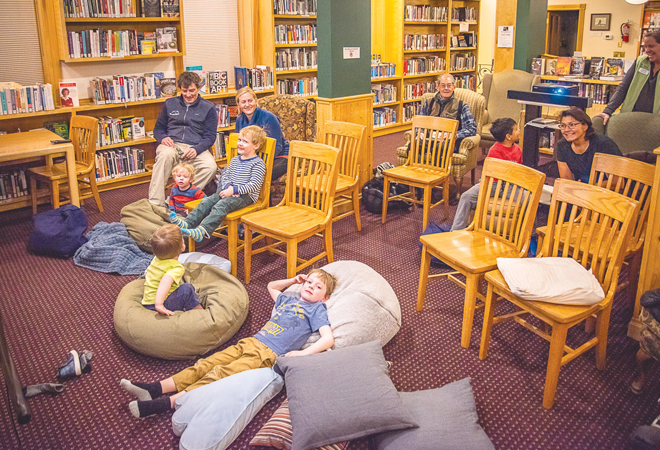 Showcasing the nominated short films for the Academy Awards, see who you think fits the bill in Documentary (Friday, February 15), Live Action (Saturday, February 16) and Animation (Sunday, February 17). Then activate your freedom of speech celebrating President’s Day learning to write letters to Congress, land management agencies and local governments in Writing with Purpose & Passion (Monday, February 18). The ever-popular Watercolor & Wine Series focuses on repetition and rhythm this month (Thursday, February 14) and you can still get busy with clay in the weekly Wheel Throwing Workshop (Friday, February 15). Coming up quick the following week – Pat Green tickets (Thursday, February 21) are selling like hot cakes so get yours now before they’re gone! And Friday, September 22 kicks off the inaugural Murder in the Mountains Mini Noir Festival – a thrilling two days celebrating all things murder and mystery writing – perfect for both readers and writers of the genre. 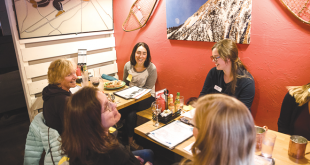 Non-profit board and staff members from the Western Slope are invited to “Crafting a Strategic Plan that Works,” a workshop that will provide the tools you need to help your organization be all that it can be—increasingly effective and increasingly attractive to funders. 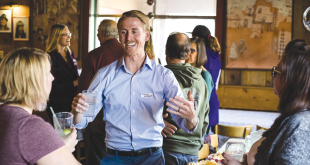 The workshop will be on Wednesday, February 20 at the Fred Field Center, 275 S. Spruce St. in Gunnison from 1 to 4 p.m. The cost is $35, with a discount for three or more attendees from the same organization. To register, go to www.cfgv.org/nonprofit-network. Mardi Gras 2018 was a year ago this week. This year it is March 5 and KBUT Community Radio, the Crested Butte/Mt. Crested Butte Chamber of Commerce, and the Crested Butte Mardi Gras Committee are proud to present the best Mardi Gras west of Pitkin and east of Sapinero. Anyone can participate. Floats are free and registration is not necessary. Simply get your Krewe together and show up at 4:30 p.m. at 8th and Elk Avenue in Crested Butte. There will be cash prizes for best floats. The actual parade will start at about 5:30. For more information, contact Tyler at KBUT 349-5225. 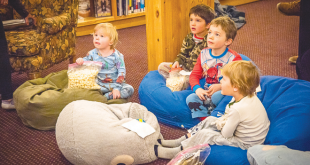 FAMILY MOVIE NIGHT: On Friday, February 1 the Crested Butte Library hosted a free showing of the original Charlotte’s Web for families and children. 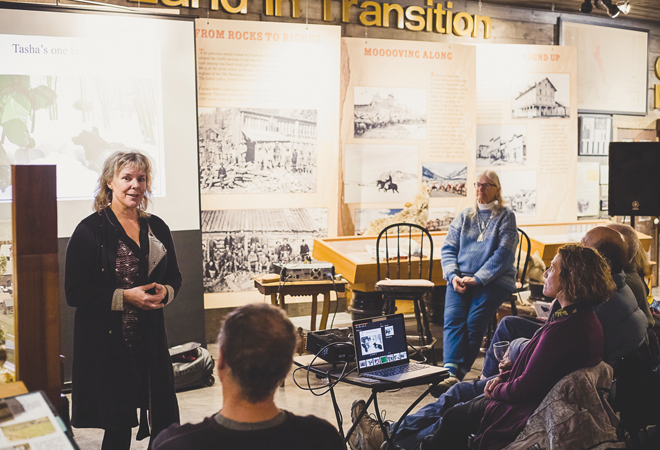 LOCAL AUTHOR: Sue Purvis presented and signed copies of her book Go Find: My Journey to Find the Lost – And Myself at the Crested Butte Heritage Museum on Tuesday, February 5. Cameos: What’s the best or worst gift you’ve ever received on valentine’s day? I almost dumped someone, but she dumped me first. me a rose at school.